Smell of Gas, Oil or a Burning Odor. We’ll give you an up-front estimate before starting any service or repair & clean up when we’re done. All Done Heating & Cooling knows the finer points of air conditioning and heating, and we are dedicated to providing our customers with quality service at competitive prices. We’ll get the air conditioner working again fast so you can get back to enjoying your summer.Don’t sweat it out with a malfunctioning air conditioner! Minimal downtime – Our service vehicles are stocked with the parts needed for most common repairs, so we can get right to work. Up-front pricing – Our service professional will inspect and diagnose the problem, then explain your options and the cost, before starting the repair. You know what to expect and how much it will cost. Service when you need it – 24/7 emergency air conditioning repair service means you don’t suffer unnecessary discomfort waiting for regular business hours. Professionalism – Each member of our service team has professional training and expertise in HVAC repair. Cleanliness – We respect your home and clean up our work area before we leave your home. No risk – All Done Heating & Air Conditioning is licensed, bonded, and insured for your protection. 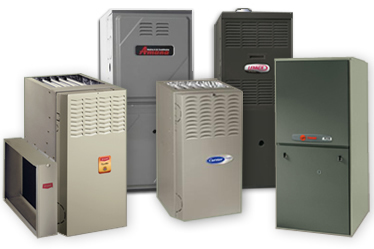 Major brands – We service and install all major makes and models of heating and cooling systems. We’ll arrive at your home or business in a fully-stocked vehicle ready to repair your air conditioner. We’ll clean up when we’re done and leave your home or business as we found it. Your satisfaction with our work is guaranteed. All Done Heating & Air Conditioning is your source for emergency A/C repair and service in northern New Jersey. Our friendly professionals will fix your air conditioning problem quickly so you can get back to your normal life. Call All Done Heating & Air Conditioning today and get chilling! Whether it’s a simple repair or a full A/C replacement, All Done Heating & Air Conditioning will solve your air conditioner problems. 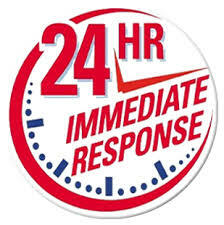 Our 24 hour emergency air conditioning repair, maintenance, and replacement services are just a phone call away. Copyright © 2019 NJ Heating Repair Cooling Repairs & Services NJ.